One of the most important aspects of your makeup is its longevity. If you make such an effort to have perfectly blended shadows and sharp winged liner eyes, then you definitely want those things to last all day long. Makeup setting sprays have recently become mainstream and if you have yet to invest in one, then take this as a sign. Setting sprays come in a variety of formulas and effect each skin type differently. Some boast matte finishes that prolong makeup wear, whilst others simply freshen up dry skin. 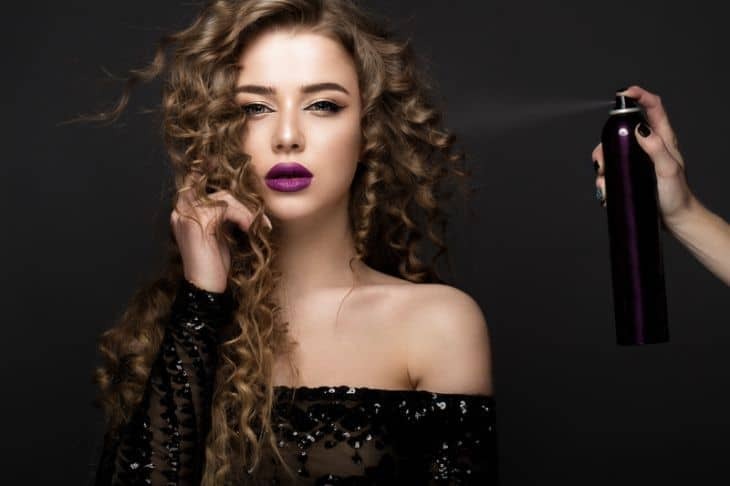 If you have oily skin, then this list of best makeup setting spray for oily skin will go through some perfect options that will help keep your makeup looking fresh, perfect, and in place all day long. Nyx is a major beauty brand that is gaining huge momentum in the industry. In the past, it was known as a cheap alternative to high end products with its quality fluctuating with each product released. However, recently, Nyx has become a big player, often times being compared to high end brands like MAC and Anastasia Beverly Hills. This best setting spray for oily skin is affordable, and leaves your oily skin feeling comfortable but matte. The NYX setting spray also increases the longevity of your makeup. Like most sprays, NYX setting spray comes in a spray bottle that simply requires users to hold the bottle a few inches from their face and spray in an “X” formation towards their face. Once dried, you can bet that your makeup will not budge the whole day. Urban Decay is a worldwide favorite when it comes to makeup. Their famous “Naked” palettes took the world by storm and their continued innovation and exemplary quality makes them a forerunner in our list. Simply put, this best setting spray for oil skin is like a magic glue for your face. Not only does the Urban Decay setting spray help your foundation, concealer, contour, and eye-shadow set into your skin, it genuinely keeps your makeup on for the whole day. Urban Decay setting spray is sweat proof and perfect for oily skin. Because it helps the makeup settle onto the skin, it creates and airbrushed look. Something fresh and natural. Your makeup isn’t sliding off your face when it comes to this bad boy. The Urban decay makeup setting spray can hold your makeup for 16 hours while preventing any creasing, smudging or melting! Elf is a small brand that packs a massive punch. Like Nyx’s previous life, Elf is known as the low-budget, affordable brand of makeup. Although their makeup is hit or miss, their formulations are quite good and comfortable to wear. 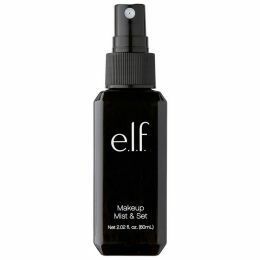 The Elf setting spray is one of their best selling products simply because it is proof that you don’t have to spend big bucks to get a great payoff when it comes to your makeup. Elf setting spray is formulated with aloe vera, green tea, cucumber, and vitamins A, C, and E which help to keep the skin hydrated. Your skin and wallet will thank you. This brand is more than fifty years old and was started in NYC by Mario himself. This spray is a cult favorite amongst those who prefer a more natural spray that not only sets the makeup, but also aids the skin and encourages hydration, elasticity, and a natural glow. Formulated with herbal extracts and rose water, the scent is to die for and it feels phenomenally comfortable on the skin. What’s more, you can use this spray all over your body, even without makeup, for a gently refresh. Skindinavia is a new brand that is making huge waves in the beauty industry. Skindinavia setting spray prevents makeup from blocking pores and wrinkles. In fact, it helps your makeup stay cool throughout the day so that it won’t melt or slide off. So it’s perfect for oily skin. It boasts a sixteen hour wear time which is fantastic for working women who don’t always have time for touch ups throughout the day. According to the brand, 90% of users agreed that their makeup looked as good at the end of the day as the moment it was applied. Supergoop, with its quirky name and minimalistic brand aesthetic is one of a kind. It not only helps to set your makeup, but it also contains SPF 50 for a unique weightless mist that sets makeup, controls oil and shine, and also protects your skin against harmful UV rays. Sourced from some natural ingredients such as antioxidant rich rosemary and mint, this spray is the perfect companion for holidays and beach days. It leaves your skin with or without makeup, feeling fresh and protected all day. Unlike regular sunscreen that tends to be heavy and thick, this mist is weightless. So expect near perfect comfort too. You can use Purebliss to not only set your makeup throughout the day, but you can also introduce it to your skincare routine and use it to freshen up dry skin throughout the day. Packed as a comfortable and lightweight mist, it boasts natural tea extracts as well as softening and smoothing agents that promote elasticity. If you have oily skin, it minimizes the need for touch ups and discomfort. As an added bonus, it is free from parabens, petro-chemicals, and artificial fragrances. In fact, it’s also not even tested on animals. The brand is so confident in its claims that they offer a full refund if you’re not satisfied with your Purebliss experience. So is there really anything to lose? Although it’s a smaller, lesser known brand, ArtNaturals is doing wonderful things when it comes to the setting spray sphere. This product prevents cracking, fading and slippery makeup from running all over your face. Infused with luscious pomegranate and sage extracts, it combines with the aloe vera, zinc, copper, and magnesium to soothe the skin. As the name would suggest, all the ingredients are natural and aid in the proliferation of skin cells. Made in the USA, it boasts a matte finish that doesn’t dry or crack your makeup. 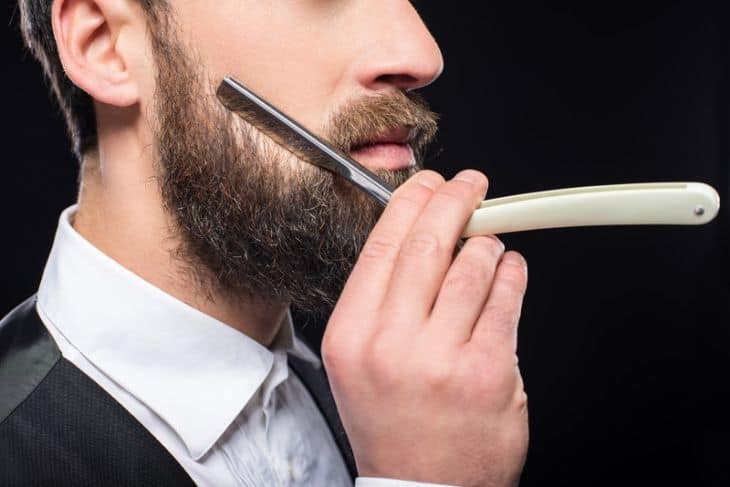 If you’re the type of person that prefers testing out a professional option to see if it actually does something for you before indulging in more expensive options, then this is your brand. Mehron has some of the best professional makeup items on the market today. So not only is it extremely affordable, it actually works too and has become a cult favorite from beauty gurus to makeup artists alike. The Mehron setting spray has also proven to be a favorite amongst beauty fanatics. The price-point as well as the quality and durability of the spray prove to be worth the investment. The ultra-fine clear spray protects sensitive skin from adhesives, latex and makeup. It sweats proof your makeup and helps it last all day, leaving it smooth and not sticky. L’Oreal is one of the most famous and trusted drugstore beauty brands in the world. With their high quality products and inclusive ad campaigns, they are a leader in the industry. Many makeup artists boast L’Oreal products in their kits simply because their foundations and lipsticks are on par with higher end products. This applies to their makeup setting spray too. The L’Oreal infallible setting spray is affordable, durable, comfortable, and of high quality. What more could you ask for in a spray at this price point? Knowing what skin type you have and understanding the differences between high end and low end setting sprays can make picking one a whole lot easier. 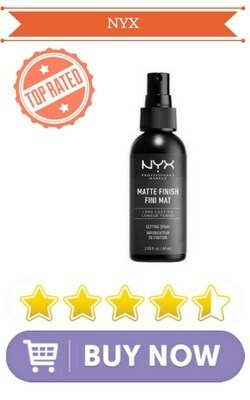 Our choice for the best makeup setting spray for oily skin is the NYX setting spray. It is affordable, comfortable on your oily skin and gives lasting hold for your makeup. So whatever you decide, know that simply having a setting spray as part of your makeup routine will change your makeup game for life!